all the coins i´ve tested CriptoNight v6 algorithm is the best so far... it´s CPU friendly, almost 1:1 Ratio GPU:CPU balanced, and very power efficient at 1OO% CPU / GPU load. Argon2d the 2nd best, taking those variables in consideration, #1 in complexity/security... CPU Only, so far, and power hungry. NeoScrypt "Scrypt v2" is Power Hungry. ETHash, has Fallen, with E3 ETH ASIC Miners faster than 4x Watercooled & Overclocked Vega64 at $800usd. but that same problem could make ETClassic a comeback, could bring ETClassic back from the ashes. Equihash probably the 3rd best algorithm, but Not as power efficient at 1OO% GPU load, and Not CPU friendly. CPU vs GPU ratio is very unbalanced like all other coin algorithms. will have to test X13 power efficiency vs. Equihash. having an algorithm that is perfectly balanced, and power efficient gives equal opportunity to CPU miners and GPU miners, will make the coin stronger against centralization, more Decentralized. "The Original idea of Bitcoin / Satoshi Nakamoto"
that´s a Big Problem in a Fast World, with Big Waiting lines. an used GPU today is the same price as New a year ago, and almost twice when launched. CPU Only coins are a bit different, because everybody has a CPU, but still can become centralized because the TOP500 List #1 Today has 20Million-cores. a power efficient hybrid CPU&GPU balanced algorithm is very important. Ripple XRP requieres $20usd. You can never recover, to have an address. Dogecoin from my point of view, is better than Litecoin, programmers are better. but in the end its the same Scrypt algorithm, with the same ASIC miners, and Now can be Bridged to Ethereum Token. "ASIC Miners will have less motivation to spend $$ in electricity, in the future." SHA256 coins are doomed, and coins that follow the BitcoinCore code roadmap changes also. to motivate the use of Node Wallets, and avoid a 51% attack. Motivation to have Node Wallets decreased & Motivation for 51% attack increased. BitcoinCash decided to increase Block size, to lower waiting lines, and lower transfer fee, Before BitcoinCore became SegWit, that´s very important. BitcoinGold decided to change the Algorithm, for an ASIC Resistant algorithm with minimum changes to the Blockchain, also increase Block Size, x2, x4, Not x8 like BitcoinCash. "Most coins with very different / incompatible algorithm must start the Blockchain from 0." BitcoinDiamond BCD has incresed Coins from 21Million to 210Million, 10x similar to Bytecoin BCN vs. MoneroXMR, but also changed the SHA256 algorithm to X13. and also increased BlockSize to 8MB "same as BitcoinCash"
Bitcoin has lost the way, lost in translation. BitcoinDiamond could be the true Bytecoin competitor in the Future. But BitcoinCash will continue in the TOP10 because is Not SEGWIT. personally im against Blockchain size optimizations, BitCore the worse, some call it clever..
Mp3 at 128kbps is too much "optimized". 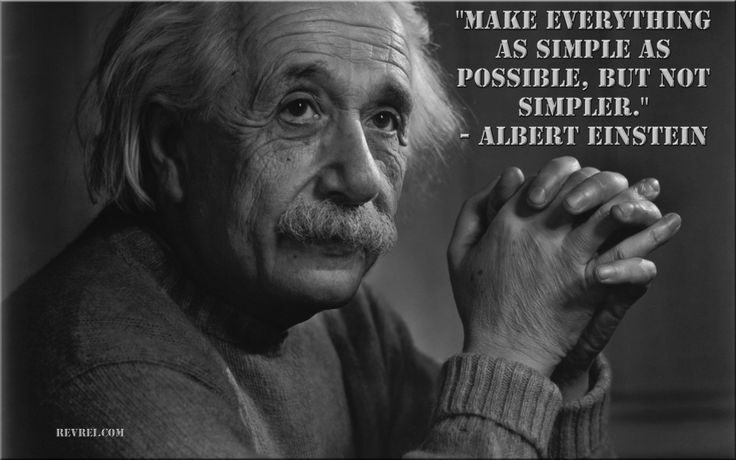 Einstein say´d: "make something as simple as possible, but Not more." that´s unacceptable to me, from a security point of view, for a Master in a Record Company / Producer point of view, .mp3 at 128kbps is Not a Master. having an Ethereum Node Wallet in the Future will be almost impossible without bootstrapping, making a 51% attack almost inevitable. thats why Bitmain decided to sell the E3 ASIC Miner secret weapon, before it becomes obsolete. the idea of e-Coins are to replace Paper Money Not backed by Real Gold, and insecure Plastic Money, with a much more secure & decentralized solution. ¿What´s more important: Activity_Posts or Date_Registered? Agreed with you this perfect example of out of mind of person dreaming about $6 for this crap. I was lucky to make profit during this pump so that I will buy back at low price after few weeks because I am not hurry to get rich overnight like that drunk guy. At the very end of the previous year we released the 2018 roadmap for the 1st and 2nd quarters of the year. Though as we see it now, to make it happen we need more time to investigate some additional technical aspects and change the order of the actions which need to be taken in the nearest time. To begin with, we’ve reviewed our plans and have decided to switch from a “cautiously optimistic” strategy to a “very accurate” one. This is a necessary measure to avoid any kind of drawbacks after the hardfork is released. The main idea of this is to prevent the network lags which took place May 8th - 10th. And there’s an ideal tool to avoid such problems - public testnet. The entire community will be able to check how the updated system will operate and there will be no need to make additional updates after the hardfork in the P2P protocol. The other reason for the delay is to change the logic on how the P2P protocol works. The P2P protocol is effectively a part of the consensus: it’s the language in which decentralized clients communicate with each other. Bytecoin software uses P2P to broadcast the data over the network. The current protocol contains some things that could be improved, while the new one will be simplified to provide the network with better performance. One more essential thing that has to be mentioned is the amount of clients which are still staying on the old (2.x.x) versions. Despite the fact that these versions were released more than a year ago, quite a large amount of users and merchants (about 19% according to our estimates) are still using these versions. We can’t conduct a hardfork in a month because it may cause a network blackout again. In that case we have to choose between the responsibility for the system health and up-to-date checkpoint passing. Obviously, we won’t let another blackout happen and we will take care of the network’s credibility. Soon the new ETAs will be announced. For now we’re welcoming you to take a part in our AMA which will be live today, May 16th, on our subreddit to ask the questions regarding the Binance listing and network situation. The bottom line is that we want to make our software more secure and more stable. Not just for us, but for our users and our community as a whole. We want to make Bytecoin the best it can possible be. Im assuming this means the hard fork is being delayed? the bytecoin IT community of telegram banned me only because I have expressed my opinion on this coin ... I wrote that I think it will not come to $ 1 by 2019 and I think binance has played a bad joke to the investors, creating a bubble speculative up to 0.20 cent (almost a real scam) .. I think it's really a childish action of the admin of the telegram channel. Do you plan to release a team page where you present all team members? I am sure that would create a lot of trust for interested investors and all BCN holders. It's not childish, it's a war with soldiers/terminators as your counterpart. If you are a soldier/greedy yourself, you will loose this game. If you become a human, you will win for sure. need help, for download blockchain. I know that this year you will see Bytecoin = $5 - $6. It will be very unexpected for everyone. And this price will last for several hours or several days. Where after the price will go, I do not know yet. I write "this year". But this is a very general wording for everyone. But I know the exact date. I can provide this date for you. If you want, I'll send you a file with a date when it happens. This file will have a password for access. And then when this event happens, I'll send you a password for this file. And you can check my forecast about $5 - $6. Only one thing I can say is that all this will happen faster than you think. Please, please, please Shut up and do one. You are taking up value time with the big boys who actually come on here to have a sensible conversation with you know... Adults!! If you have nothing constructive to add, dont TYPE ANYTHING. *So as previously asked - By BCNs Official statement (and this question is directed at Jenny) Does this mean that the hard fork is being delayed? Big boys also came when Noah was making his ark. Trash is increasing in the forums. Make your ark, and good luck with your followers. Wish you a lot of them. Bytecoin = $5 - $6 Not a bad forecast however .. It probably will be as soon as bitcoin grows 10 times? Where do you get these thoughts from ? Tell us please. to me it seems very childish that an administrator of an official channel bytecoin banned me only because I had conflicting thoughts with others .. we see that this project with few foundations. The Bytecoin Party pool is back!  Now is the perfect time to join the mining train! as I thought!! even here when a thought goes against the community of bytecoin there are frivolous people and children who respond in a bad way. as for the Italian community bytecoin .. this coin will make a bad end, as soon as everyone will realize by whom it is composed. I think they should remain unknown. What you should advocate for is more persons auditing the code and expose flaws. I dont care who create it, just care if the code is 99% flawless.